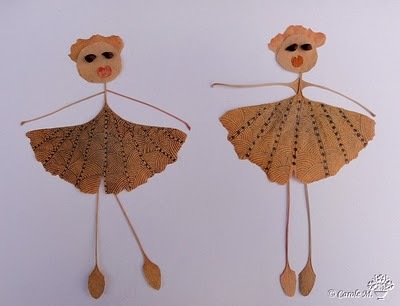 * Added to my Art-page: Fashion designers and Ginkgo. * Added photos of old female Ginkgo with chichi, Jagellonian University Botanical garden in Kraków, Poland. 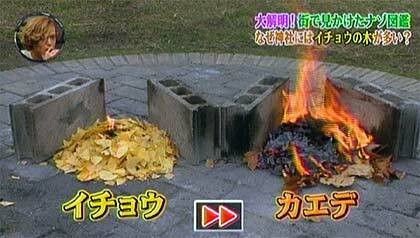 * New topic: Ginkgo and memory: new long-term study. * Added to my Art-page: photos of Ginkgo Gate, Botanic Garden Adelaide, Australia. 900 Ginkgo trees of 1937 as seen from a helicopter. They line Midōsuji Boulevard (4.5 km), the primary main street in central Osaka, Japan. It runs north-south and is an important shopping street. Video by asahicom on YouTube. * New topic: Update of Ginkgo afforestation project in Argentina. * New photo photospecial page: Frosted Ginkgo leaf. 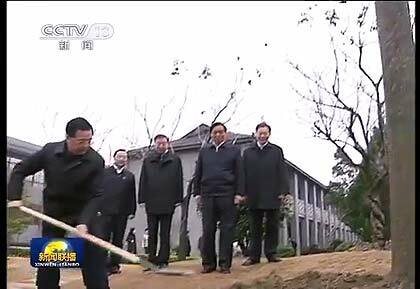 December 28, 2012, Taizhou (Jiangsu province): Hu Jintao, president of the People's Republic of China, plants a Ginkgo tree on the campus of Taizhou High School. He is an alumnus of this school and Taizhou is the city where he was born and raised. More info here. Video on YouTube (planting starts at 2.47 mins). * Update of my Awards-page: Yale University. 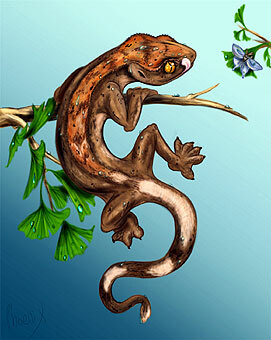 * Added pdf to my Tree-page. 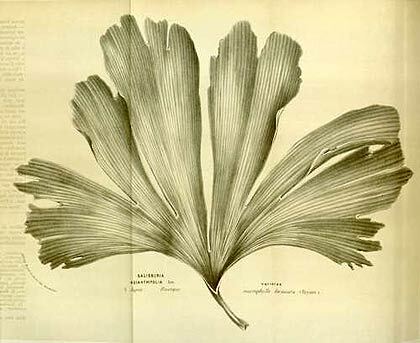 * Added new page: Ginkgo biloba silvestre, montañas Dalou, China. 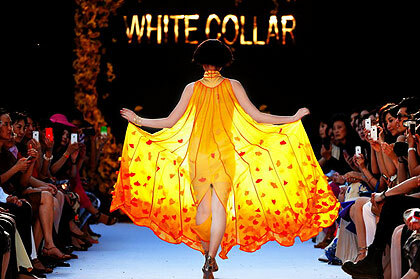 Beijing, China: "White Collar" Fashion Show 2012-2013. 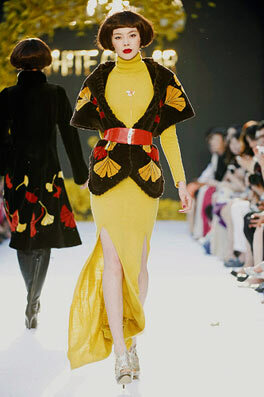 The show's theme 'Back to Nature' is expressed in the 'Mysterious Ginkgo leaf' designs by Wang Fang.